Posted on October 2, 2006 by Alicia Bay Laurel	in Blog. October begins and the Communal Studies Association Conference ends. 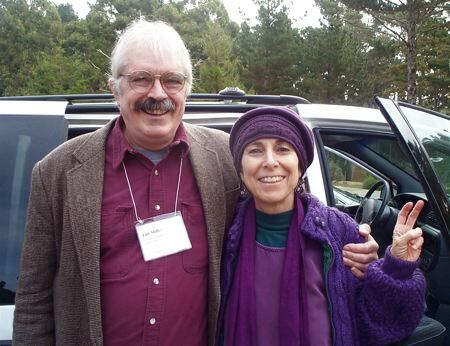 I bid a fond farewell to my friend Tim Miller, who chaired the conference and invited me to perform and speak at it, and who wrote a wonderful foreword to the fourth edition of Living on the Earth, chairs the department of Religious Studies at University of Kansas at Lawrence, lived on a rural hippie commune himself in his younger days, and has published immense amounts of scholarly research on communes through the ages. And a dear heart as well. 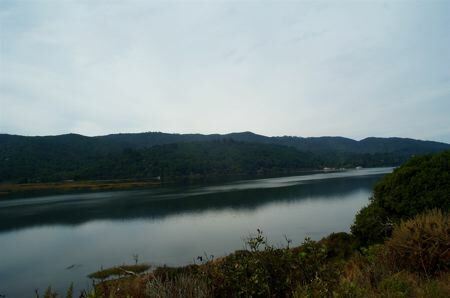 I drive south along Tomales Bay. 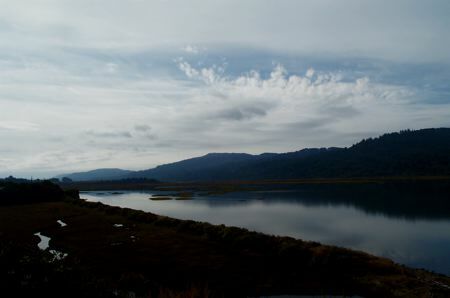 I come to the end of the bay, where the Bolinas township begins. 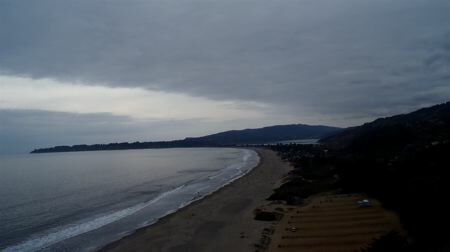 View of Stinson Beach, Bolinas, and Bolinas Lagoon from the cliffs of Highway One. 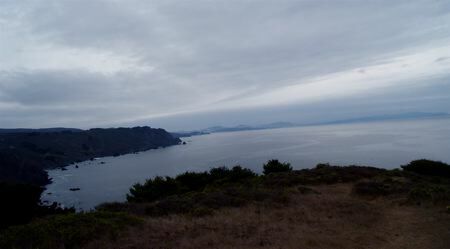 View of San Francisco from the cliffs of Highway One, just before I pass Muir Beach.